At Rhyl after taking in the sea air and all the traditional visitor attractions associated with a popular seaside resort, stroll around the wide variety of shops in Rhyl's indoor White Rose Centre, a site connected with Denbighshire's buses or along its main streets. After the famous castle, try the independent shops in the town centre. A small town with a large church - a cathedral, in fact. This market town is one of the most historic in North Wales. See the castle and the walls. Here you will find a variety of small traders with occasional market. There's even a whole shop dedicated to nothing other than chocolate! After a wander around, why not visit a pub or café for a bite? With its famous array of small, independent shops set in the town between the Hiraethog Moors and the Clwydian Range, Ruthin is said to boast more listed buildings than any other town in Wales. Between shops, pick up a copy of "Slow Walks around Ruthin" and look out for Nantclwyd y Dre, the legendary Maen Huail or visit the Old Gaol. Watch out for the monthly Produce Market. Wrexham has transformed itself into a vibrant shopping destination. Traditional high street shops and markets, an arcade and narrower streets sit side by side with large High Street names such as Marks & Spencer and Debenham's. And, much of the town is traffic free. The X50 serves both the bus station in the town centre itself it calls adjacent to the new Eagles Meadow shops and cinema. 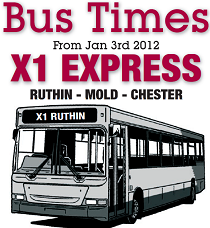 X52 now leaves Rhyl at 2100 and 2300, ideal for an extended day out or cinema visit. 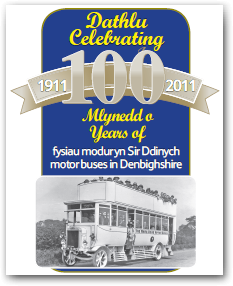 The new evening service from Denbigh & Ruthin to Wrexham is ideal for visiting a country pub or two, the Eagles Meadow cinema or nearby Mecca Bingo. 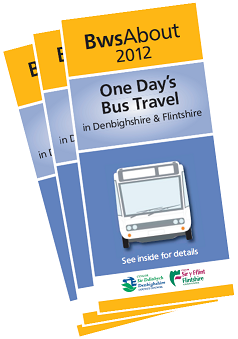 The last bus back from Wrexham is at 2255 on weekdays.